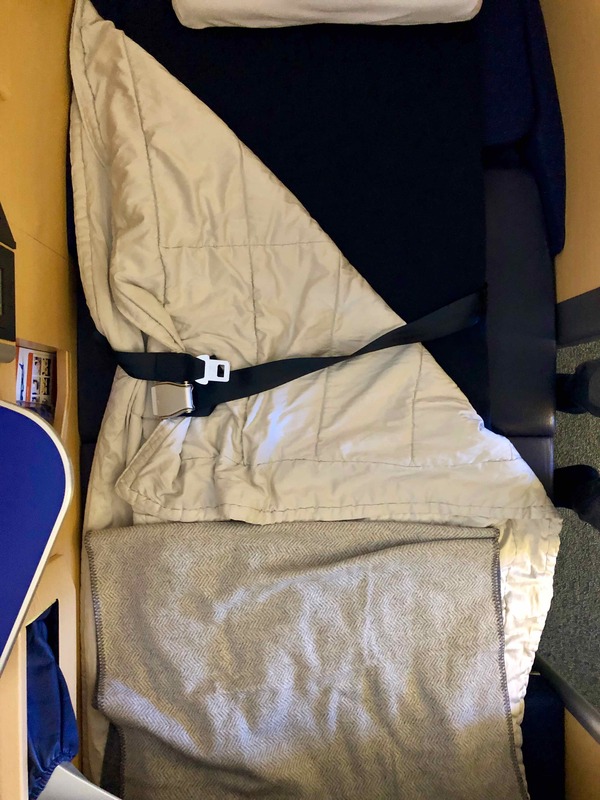 Back in August-September 2018, I got the chance to experience this very solid product twice flying to and from our Point Hacks Team meetup in Tokyo. It was my best-value redemption to date, costing only 110,000 Virgin Atlantic Flying Club miles (transferable from American Express Membership Rewards) + US$257 in taxes. 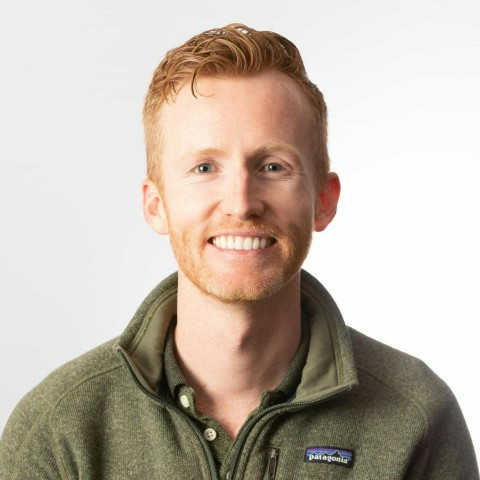 This is probably one of the ‘sweetest’ sweet spots in the world of frequent flyer points—and I don’t think it will be around for too much longer. 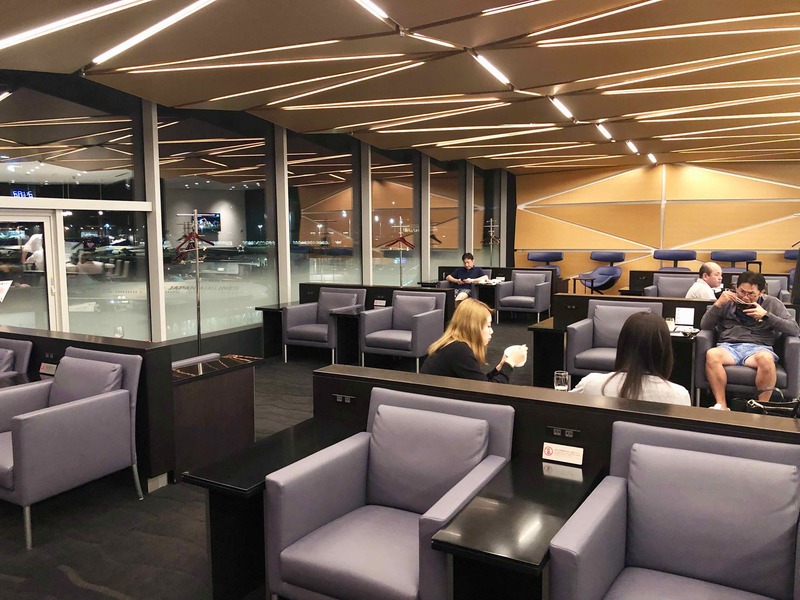 For an Australia-based traveller, the requirement to book a roundtrip through Flying Club—no one-ways—means that this redemption would best be suited to those looking to embark on an extended holiday including Japan and either the US or Europe. 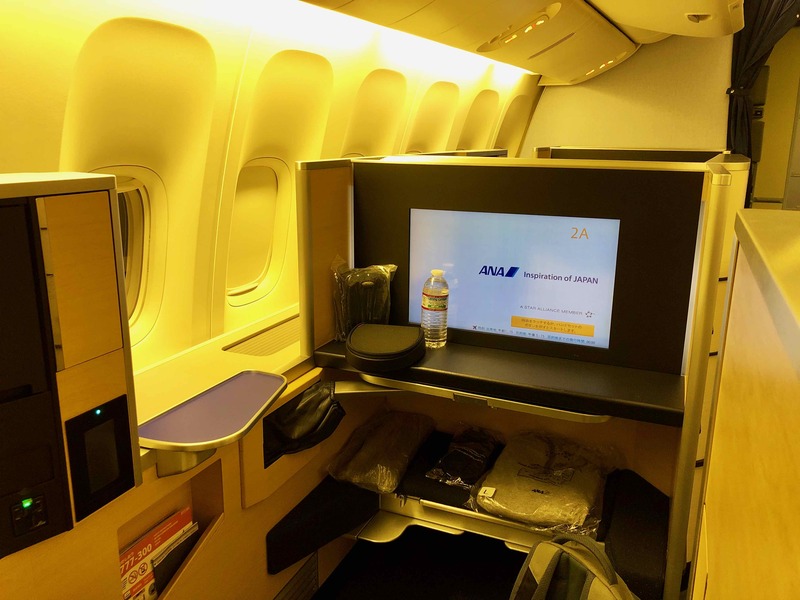 You can also use KrisFlyer or United miles or Avianca LifeMiles for redemptions on ANA. 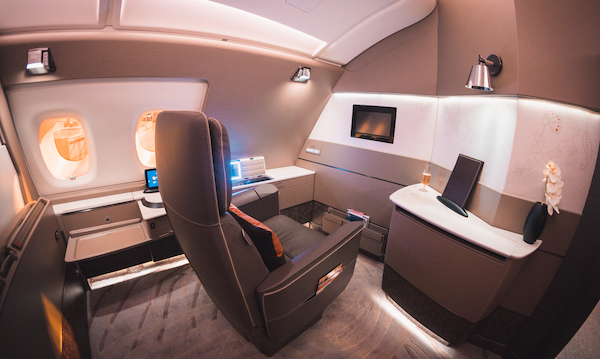 The airline has a new First Class product debuting on its Airbus A380 flights to Honolulu from 26 May 2019. It will feature the same soft product (food, service, pyjamas, etc.) 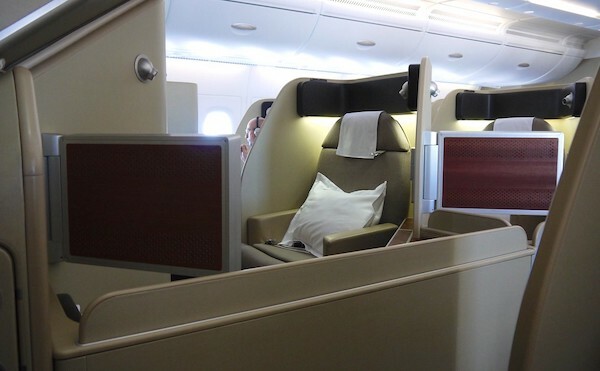 as on the 777s but will have a updated, more modern seat—looks sleek! 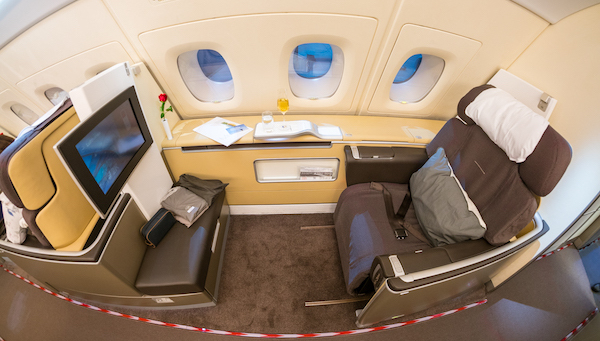 The eight First Class open suites are arranged in a 1-2-1 configuration. Each spans 3-4 windows but they are poorly positioned, meaning you don’t get very good views. If you’re in a center seat and travelling with someone else, it is hard to converse with them due to the seat layout. The seat is comfortable to sit in. 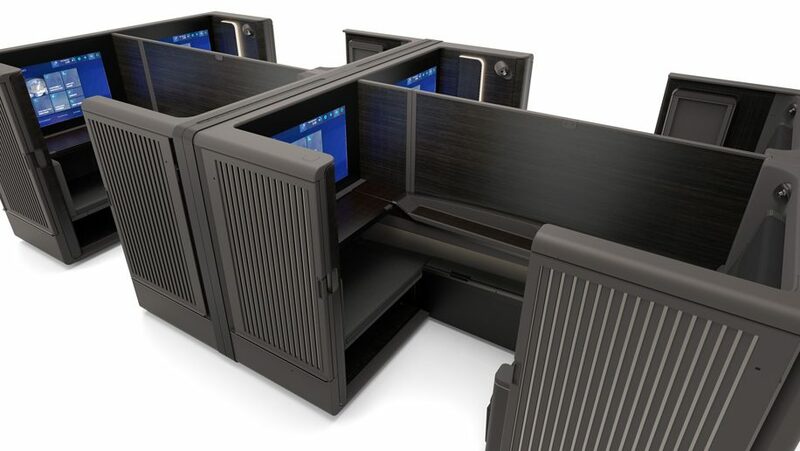 There is an ample number of compartments. I found the tray table to be perfectly positioned for dining. The mattress pad and blanket are both very comfortable. My flights were two of the quietest I have ever been on. If you’re travelling solo, then 2A is the seat to aim for; if you are travelling accompanied, then 2D and 2E are the ones to go for. 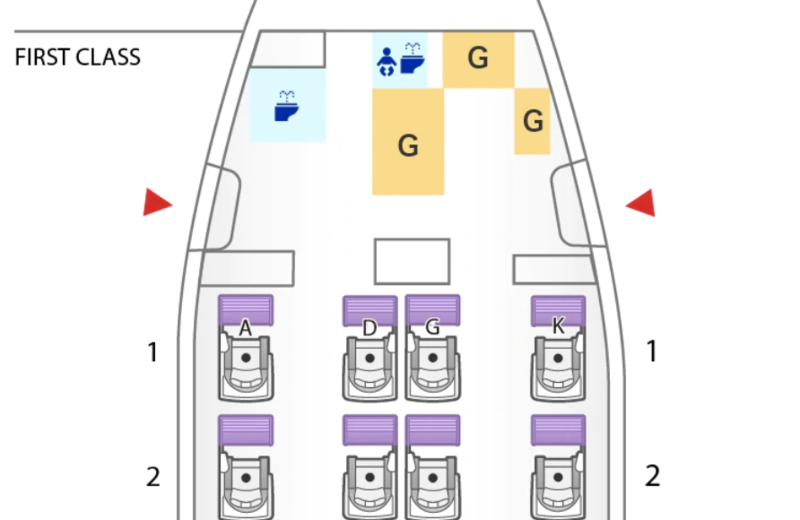 Row 1 is closest to the galley and the right side of the plane (seats 1K and 2K) get a disproportionate share of the noise, so are best to be avoided. 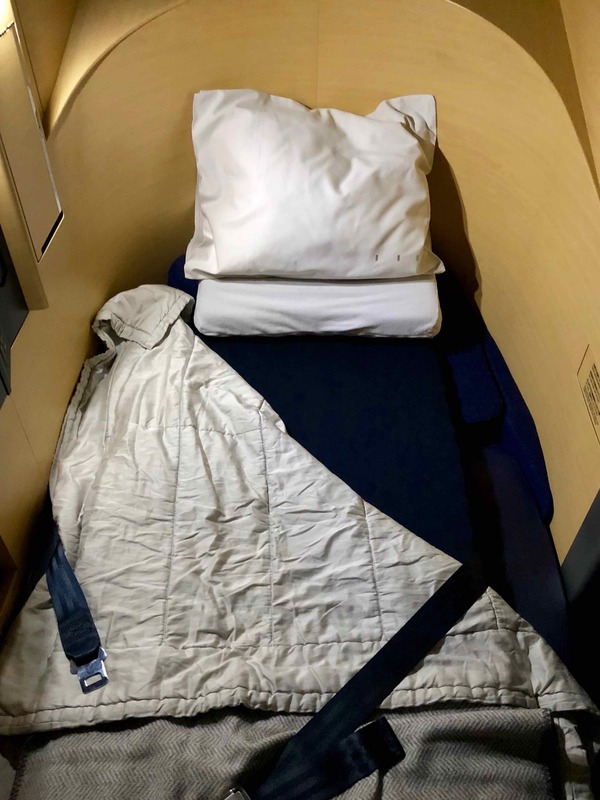 Knowing that I would get to experience this product twice, I opted for the Western meal my first flight and it was uninspiring. Coming back, though, was an entirely different story. The Japanese meal consisted of fresh and healthy food. 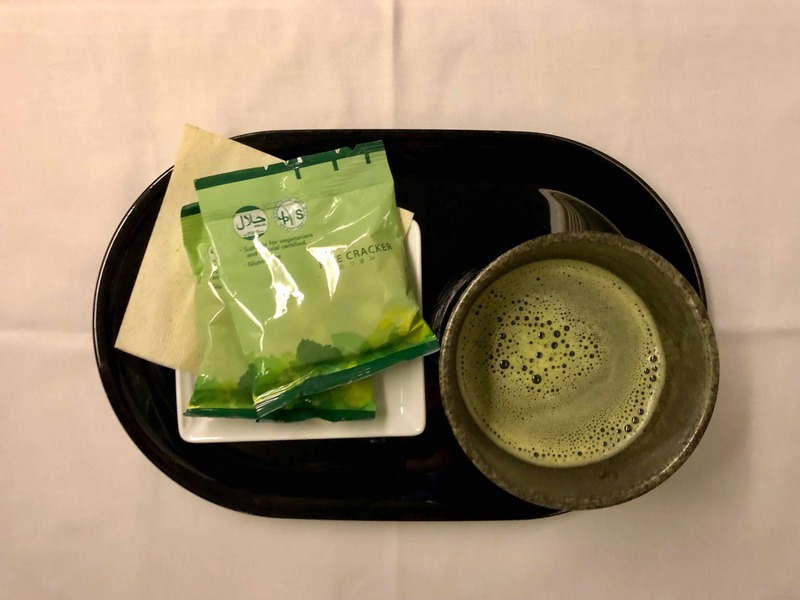 I especially enjoyed the bean cake dessert and matcha green tea for breakfast. Dining is on-demand, i.e. when you want, however, I found the service speed to be slower than the average I’ve experienced with other carriers. I had contrasting experiences on my two flights. 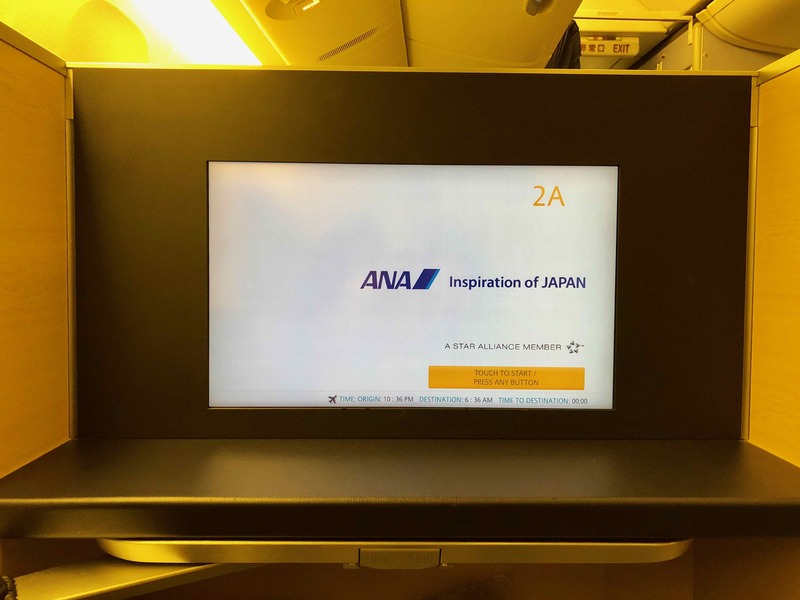 On my flight to Tokyo, I found the crew to be well-intentioned but their limited English proficiency (combined with my basic Japanese skills) created some hurdles. It reminded me of the language barrier I experienced on my Korean Air First Class flights but wasn’t as challenging. 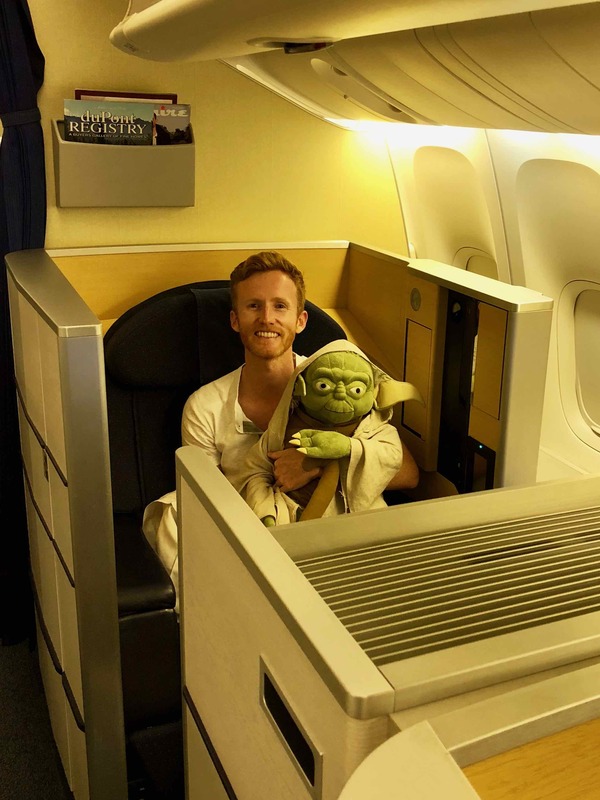 Strangely, the first interaction I had onboard was not a welcome from the crew or a tour of my seat but a Yoda doll being thrusted into my lap. 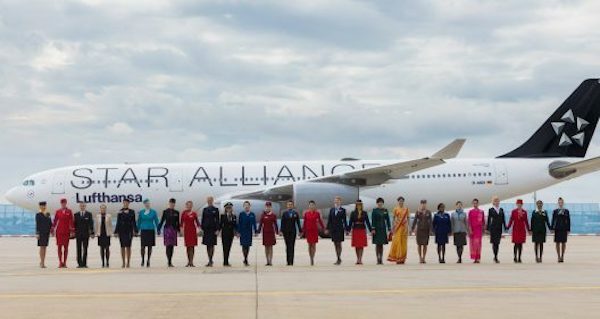 In the darkness of boarding at night, I hadn’t seen that the plane was one of the ones painted in Star Wars livery under ANA’s partnership with the movie franchise. I put two and two together when I then recognised the Star Wars theme being played over the intercom, but I still would’ve appreciated a warmer welcome (or one at all) and being shown to my seat—or at least some context as to why Yoda was now sitting in my lap! Nonetheless, it made for a good photo. 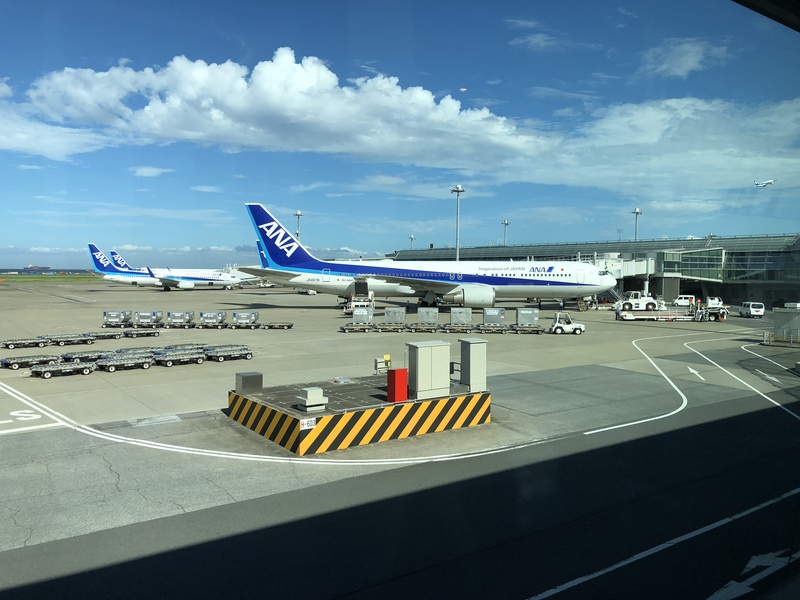 There was no farewell from the crew upon arriving at Haneda and no mention of the arrival lounge (explained under Lounge access), which would have been appreciated. Departing Haneda (on a plane was painted in Star Alliance rather than Star Wars livery), I received the level of service that I had originally expected and hoped for—exceptionally meticulous service delivery from warm cabin crew who struck the ideal balance between being proactive and non-instrusive. This aspect is a let-down. Although the touchscreen and remote are both responsive, there are a disappointing number of Hollywood movies and almost no Western TV shows. It is best to supplement the offerings with entertainment already loaded onto your device. 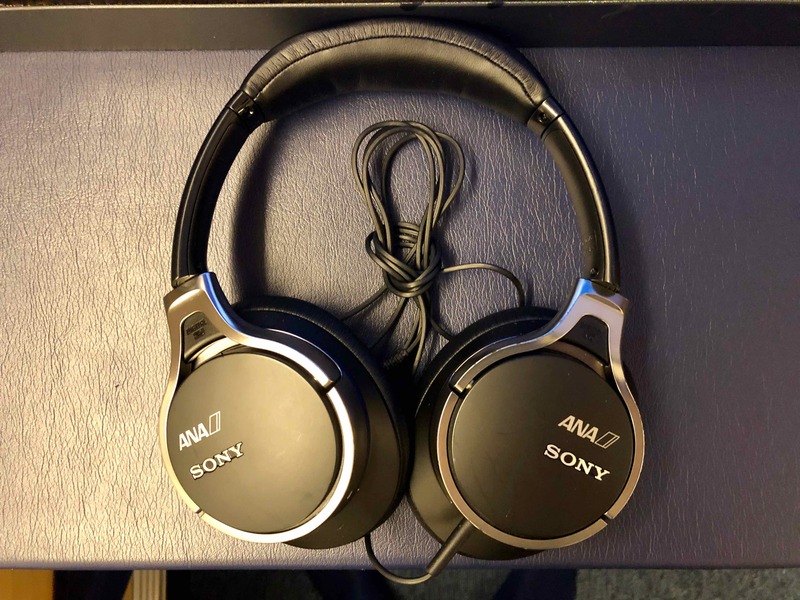 However, the Sony noise-cancelling headphones do an amazing job. The wifi speeds are slow (0.3/1 Mbps download/upload) and took me 15 minutes to get connected in the first place. The pyjamas provided are comfortable and you also get a unisize, unisex cardigan. You’ll receive a stylish mini Samsonite-branded amenities kit and can choose extra products from a basket the crew comes around with, including moisturising facemasks. 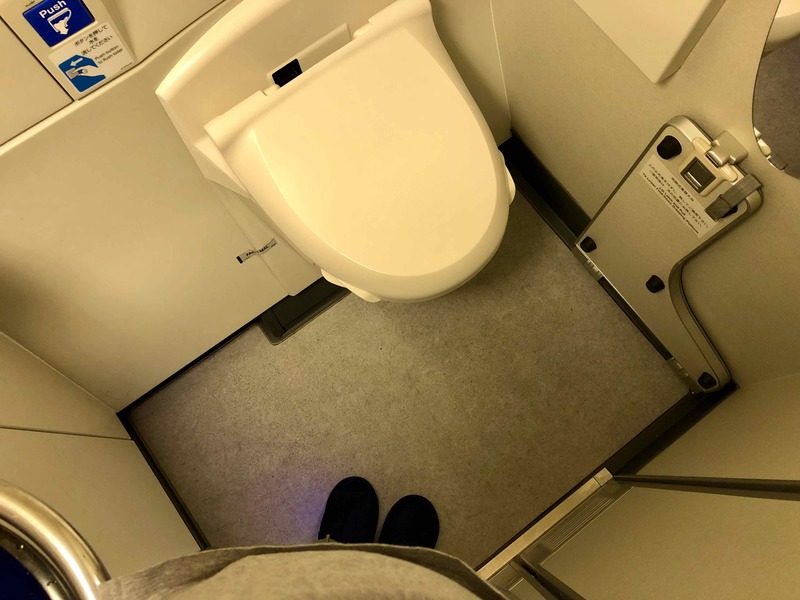 There are two bathrooms, which are smaller than what you’ll find on Singapore Airlines and Lufthansa. 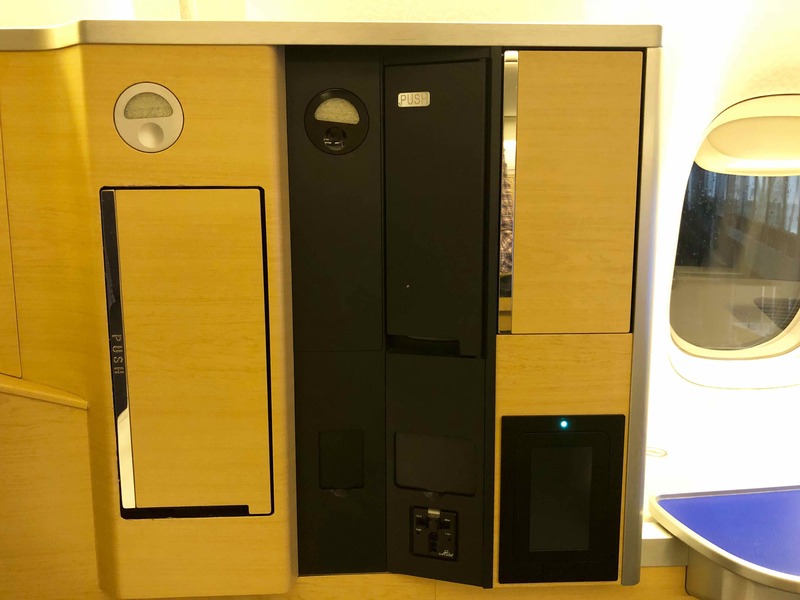 By far, the best way to fly this product is to use Virgin Atlantic Flying Club miles, which can be converted from American Express Membership Rewards points. 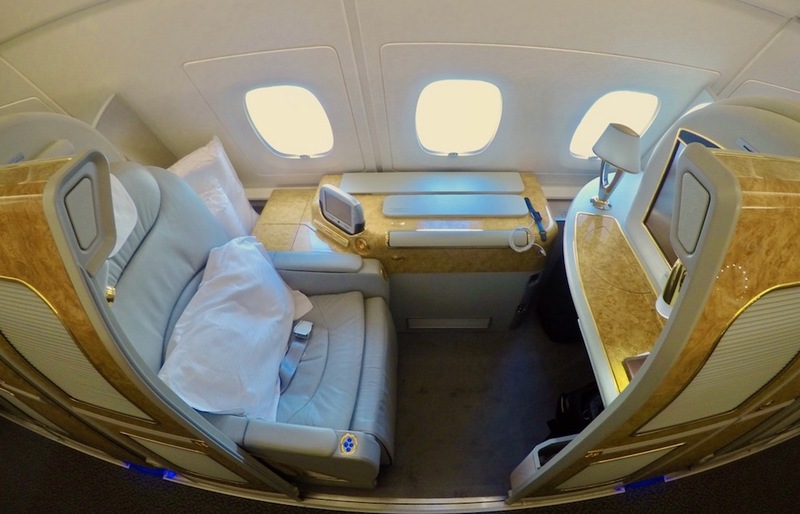 The conversion rate from 15 April 2019 will be 1 Amex point = 0.5 Flying Club miles, but until then, they transfer at a more favourable rate. 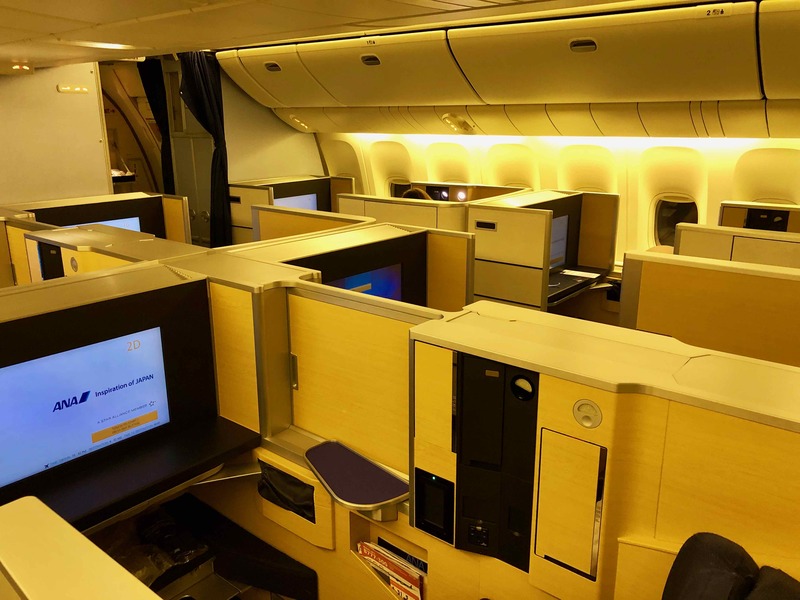 Using Singapore Airlines KrisFlyer miles is a more accessible option for Australia-based travellers, and those interested in buying miles can use United MileagePlus miles and Avianca LifeMiles (or any Star Alliance points currency for that matter). 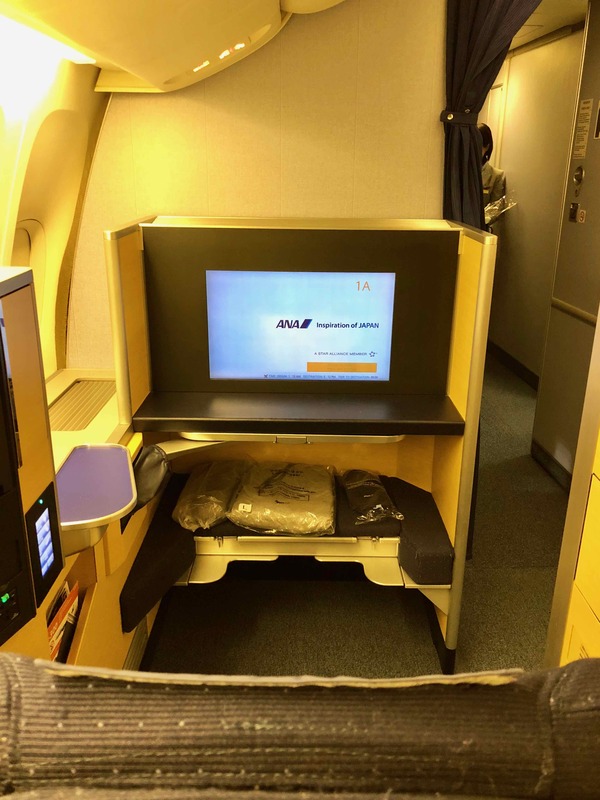 A First Class ticket on ANA between Tokyo and Los Angeles starts at AU$11,000, meaning you would be getting almost 10 cents per-point value from this redemption—that is fantastic. 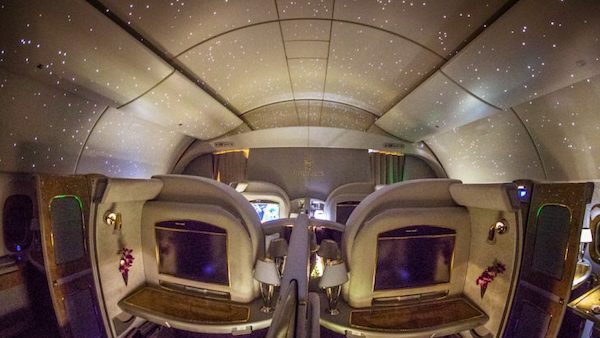 You’ll get access to the ANA Suite and Star Alliance Gold and First Class lounges wherever you are departing from. 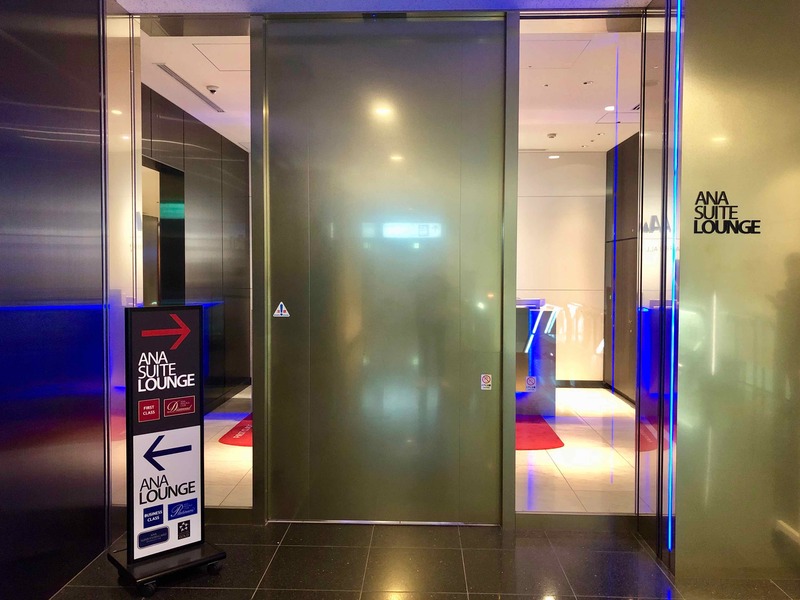 There are two ANA Suite Lounges each at both Haneda and Narita. At Haneda, the bigger version is located near Gate 110 and is a large space with beautiful pannelling and nifty privacy pods. However, at 8pm it was 80% full and the staff were frantic and bordering on rude. There was a two-hour wait for both a table at the the à la carte restaurant and the showers, so I decided to walk ten minutes to the other lounge, near Gate 114. It is a quarter of the size of the main lounge, but had only a ten-minute wait for the shower. I was offered a seat and beverage on arrival. The wifi was fast at 40/65 Mbps download/upload. Overall, I found the food options at both lounges to be disappointing. 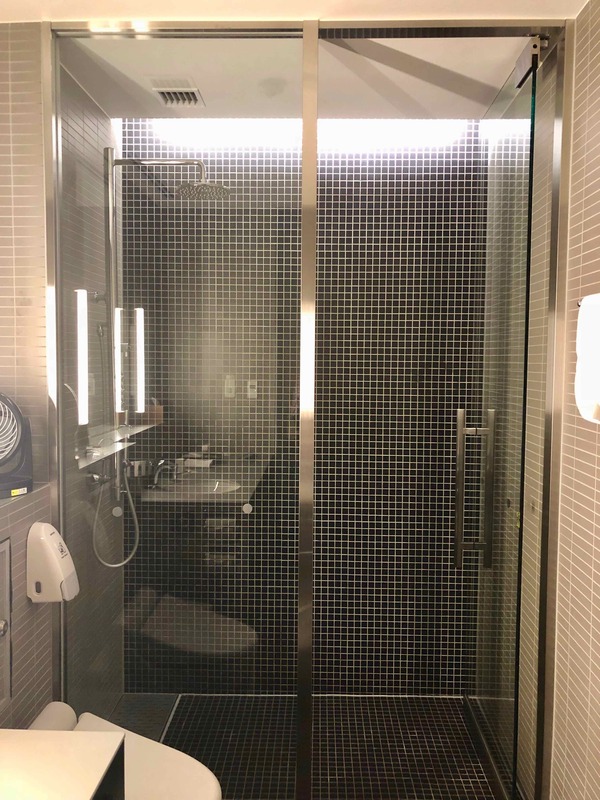 Arriving into Haneda and Narita, you can also freshen up at the ‘arrivals lounge’/shower suites. 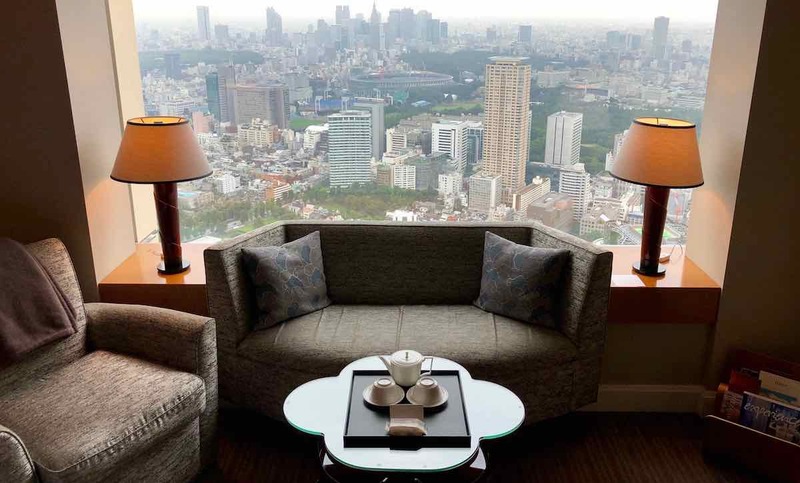 You get 30 minutes to use the suite and then you are charged 500 JPY (~AU$6) for every extra 15 minutes. The water temperature and pressure are excellent but the space is cramped. There was no wait at 5am and you’ll receive a complimentary bottle of water or green tea. This is definitely a highlight of the experience. 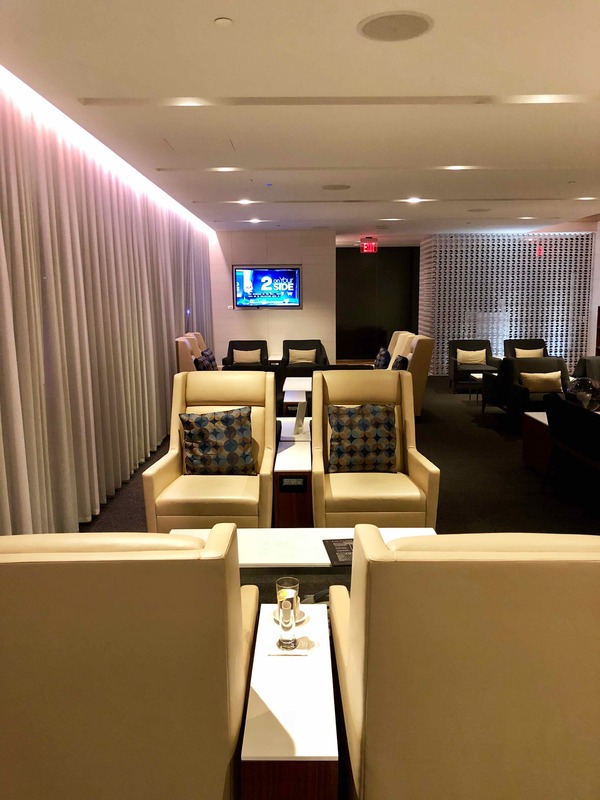 From all US airports except New York JFK, you’ll get access to the excellent United Polaris lounges. 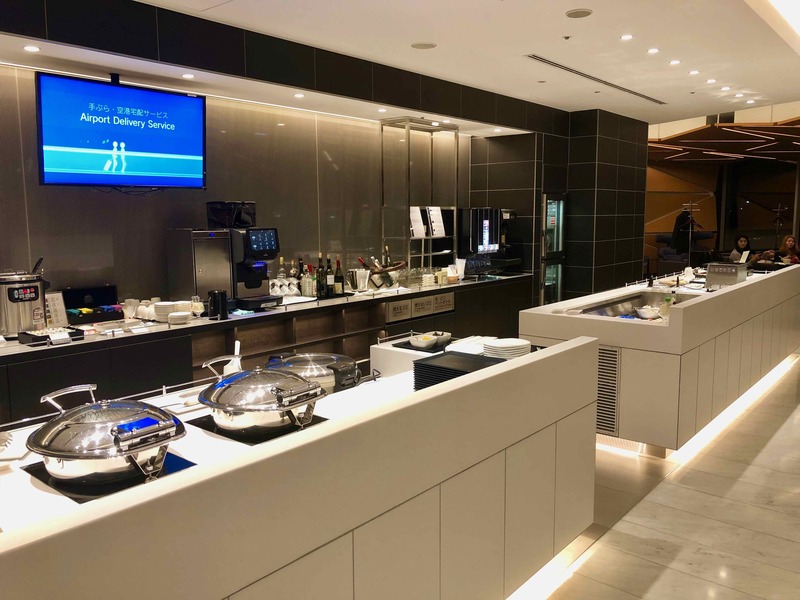 However, in LA, the Star Alliance First Class Lounge is more convenient as it is in the international terminal (rather than United’s Terminal 7). 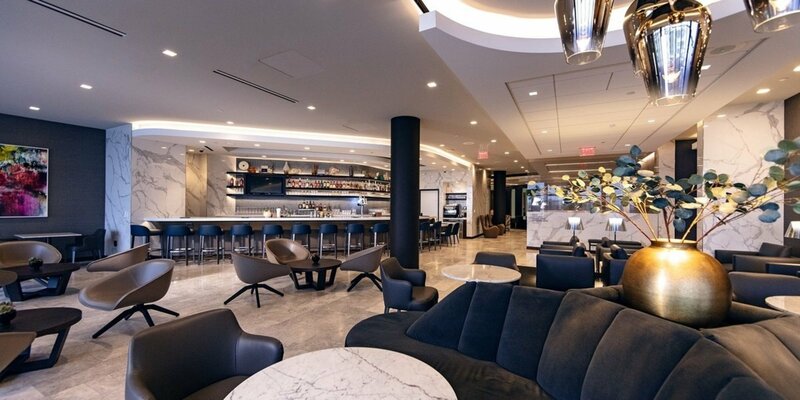 Passengers departing from JFK get access to the renovated and much-improved British Airways First Lounge, which is sleeker than the old version but reportedly lacks quality food options (which you can make up for onboard). 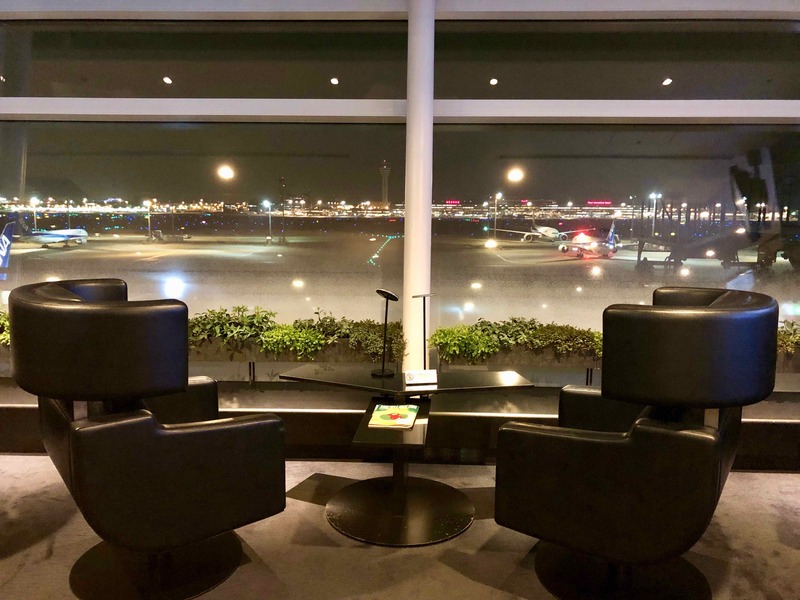 You’ll get access to Singapore Airlines SilverKris First Class Lounge at London Heathrow, and the Lufthansa First Class Lounges (but not First Class Terminal) in Frankfurt. 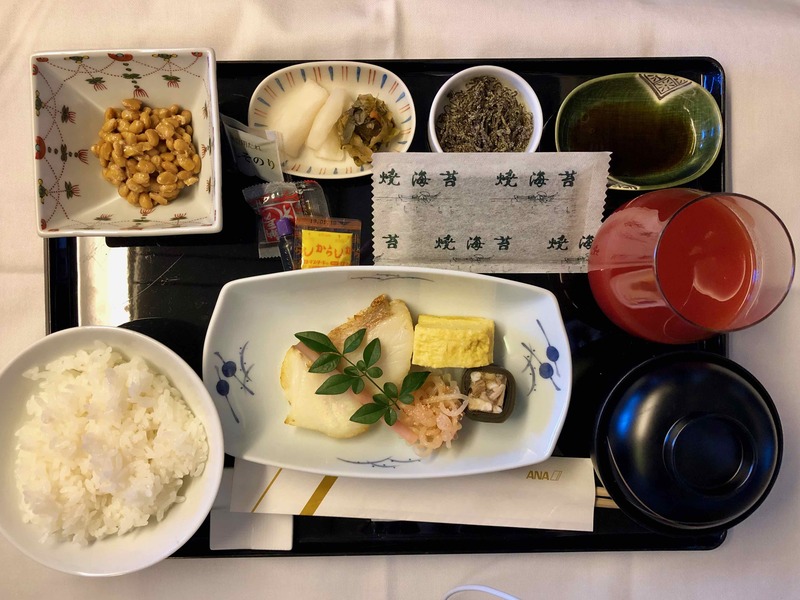 ANA First Class provides top-level Japanese customer service with an very good hard product and some of the best food you can find on a commercial aeroplane (as long as you choose the Japanese option). 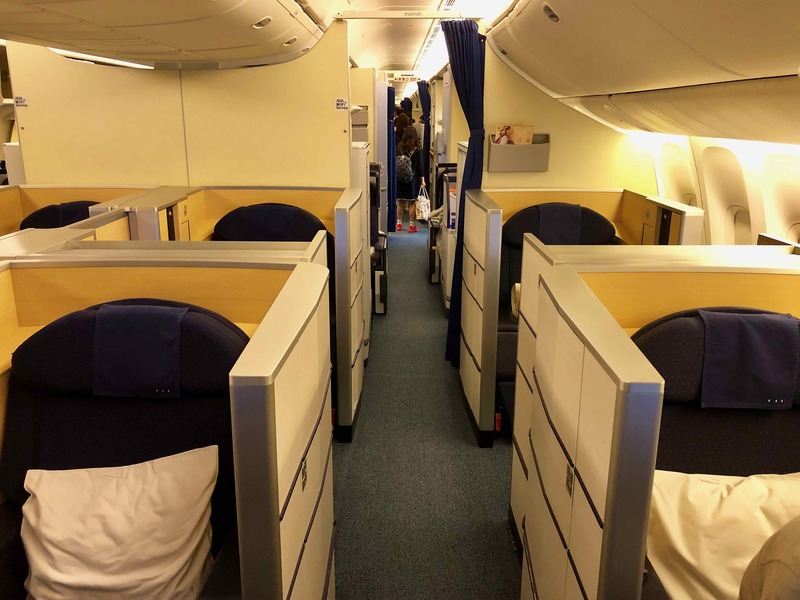 However, its product is definitely showing its age and I’m not sure there are plans to retrofit its large 777 fleet with the new seat found on the A380 flying to Hawaii. 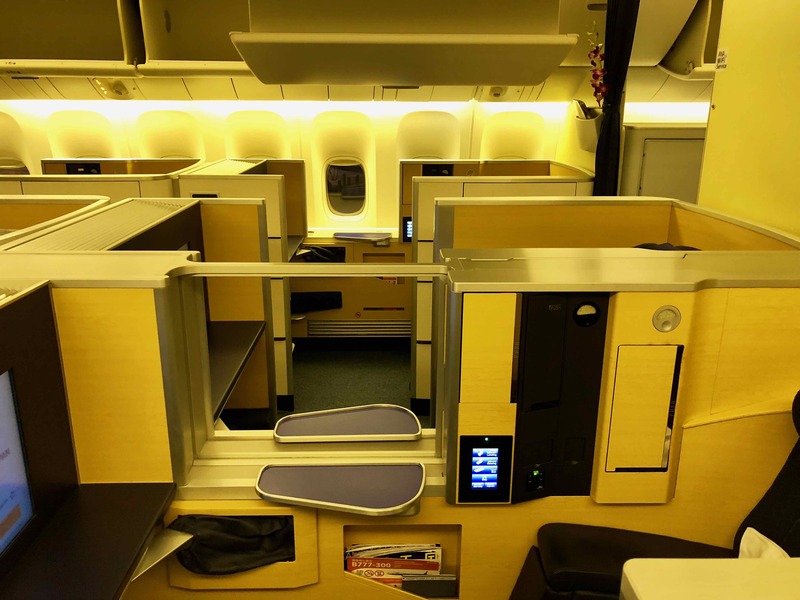 That being said, if you have access to Virgin Atlantic Flying Club miles and are looking for a relatively luxurious way to fly between Japan and the US or Europe, then you’d be silly not to take advantage of this sweet spot before it inevitably disappears. Suppementary images courtesy respective airlines and lounges. I would rather have the Yoda doll than being shown to my seat. I’ve tried NH F several times but never had a star war livery one.